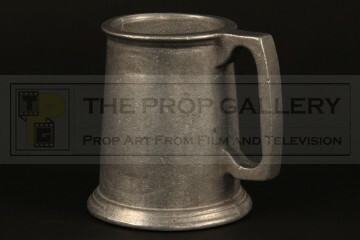 An original prop used in the production of Battlestar Galactica, the American science fiction television series developed by Glen A. Larson. 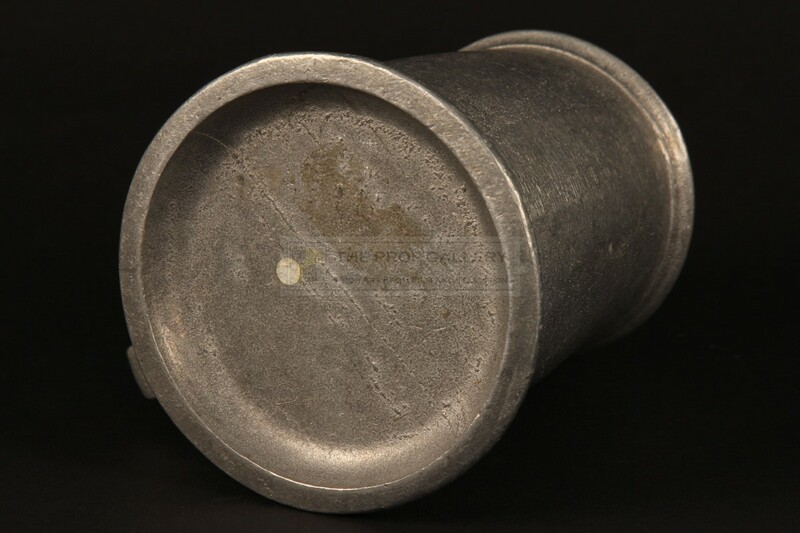 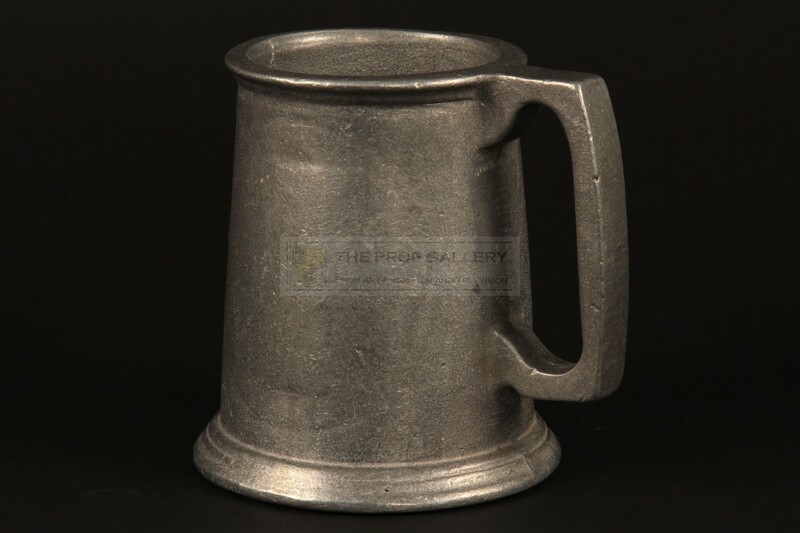 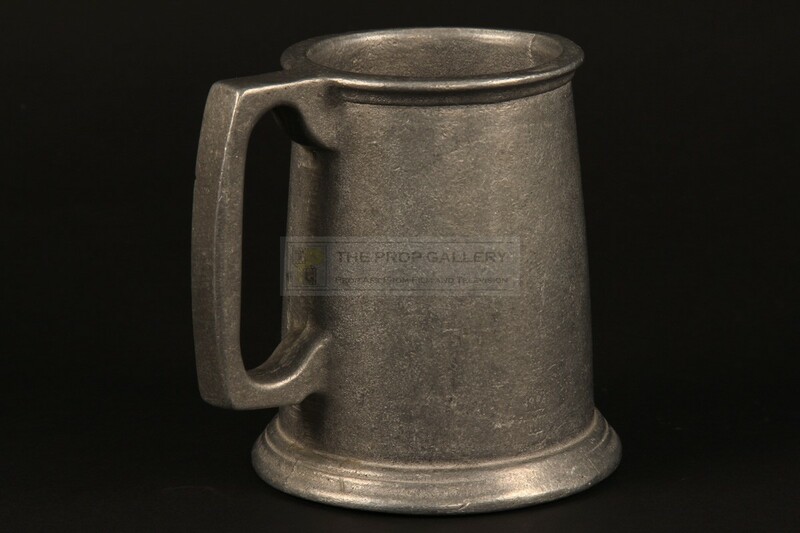 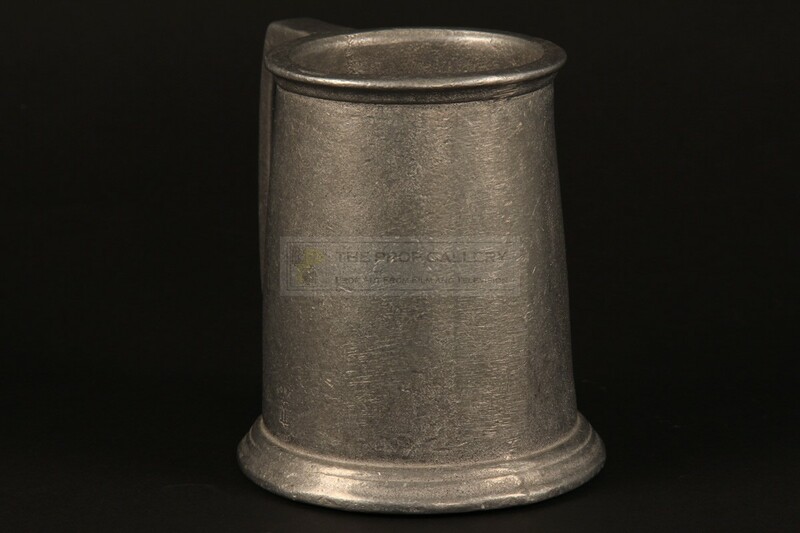 Tankards such as this can be seen used by various characters throughout the series, constructed from a pewter like alloy the tankard is etched 'UCS' to the base stands approximately 5" high and remains in excellent vintage and production used condition. 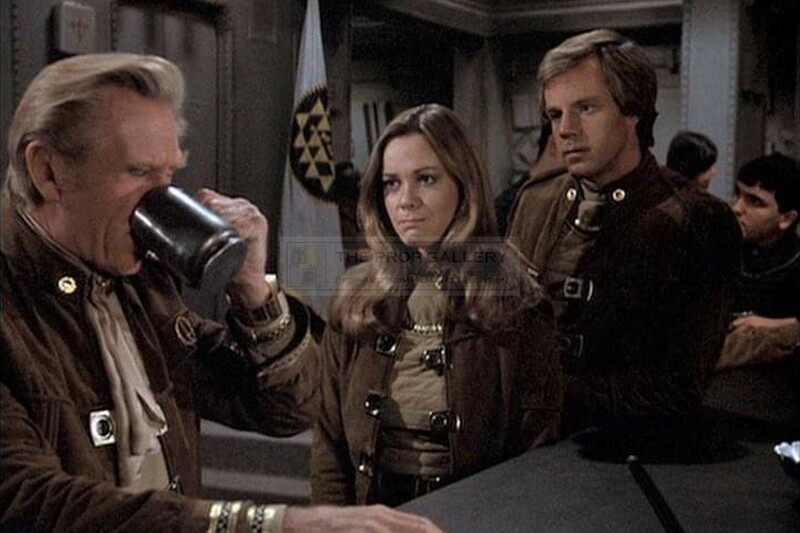 An affordable artefact from this classic science fiction series.